MO Parting out a 69 GMC C1500,, what do you need? Re: Parting out a 69 GMC C1500,, what do you need? 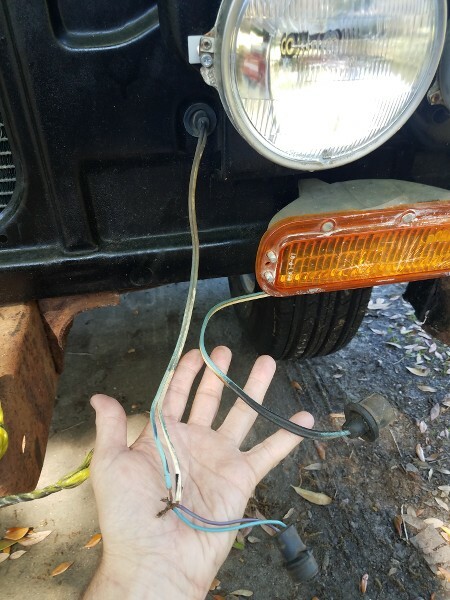 I need the headlight wire connectors that go through the radiator core support and plug into the headlights' pig tails. Doesn't the harness have connectors that just plug onto the headlights? I did not know they had seperate pig tails from the harness. Thanks, Fred. 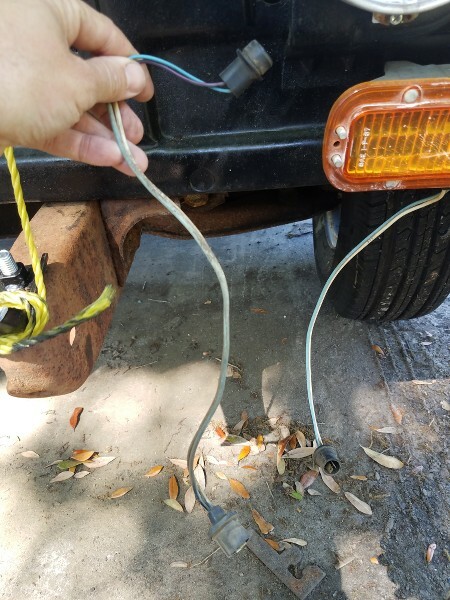 They have separate harness sections that mount into the radiator core support and are between the light pigtails and under-hood lighting harness. I need the wiring pieces of the type pictured below on the left side. I am looking for the needed wiring to add a 7 gauge cluster to my 70 C20. Dash harness and front light harness are the two I need. Oh, for the parking lamps. Now I got it. I do have them, but they are listed with the lamps on another post here. One has been customized. Thanks, Fred. This truck was a instrument light dash. Thanks, Fred. Can I get the drivers side eyebrow molding ? Hard to tell condition from pictures, any scrapes or gouges on rim? Color and price? Let me see if I can get it pulled this evening. Thanks, Fred. It is black and it is filthy. I will try to get it pulled this evening and get a good look at it. Thanks, Fred. Last edited by specialtyretail; 04-16-2019 at 11:58 AM. thanks I will check my email when I get home from work. Last edited by michael bustamante; 04-16-2019 at 02:55 PM. Steering wheel is in terrible condition. It sat for several years with no windshield. Thanks, Fred. Fred I want the eyebrow molding not the steering wheel. Oh damn. Sorry, but it is rough too. It sure is. I will pass on that. You can cancel on this request. My 67 has these two messed-up "adaptors" for the turn signal lights that I thought were factory. Thanks to Maddkidd I was able to find this out! I thought something was not right with your wiring. As long as you figured it out, that is the main thing. Thanks, Fred. Passenger door panel trim price?